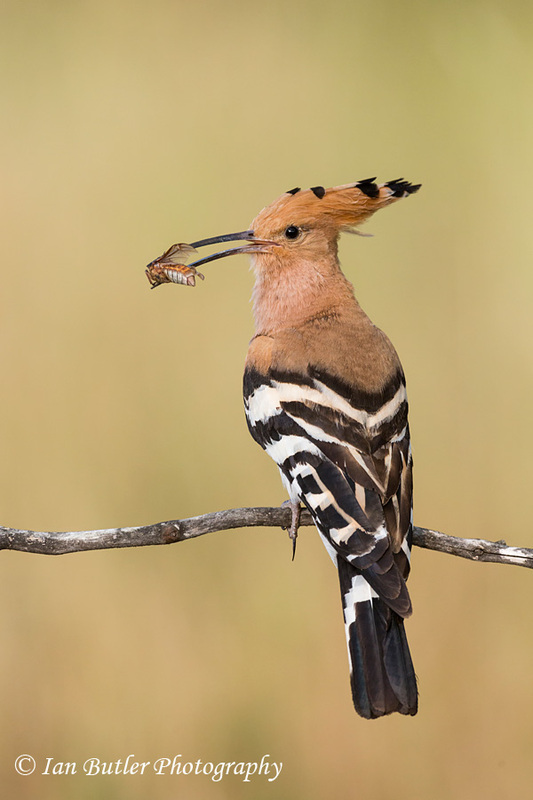 Often referring to this bird as looking like a ‘pick-axe’, in my opinion the Hoopoe has got to have one of the best latin names in the bird world… Upupa epops! After successfully raising the first brood this little gift was for the female for the start of the second brood. Canon 5D3 with Canon 500mm f/4 L IS lens. It’s great when everything comes together for an image. This Green Sandpiper had spent most of the time feeding against a muddy bank offering limited photo opportunities. 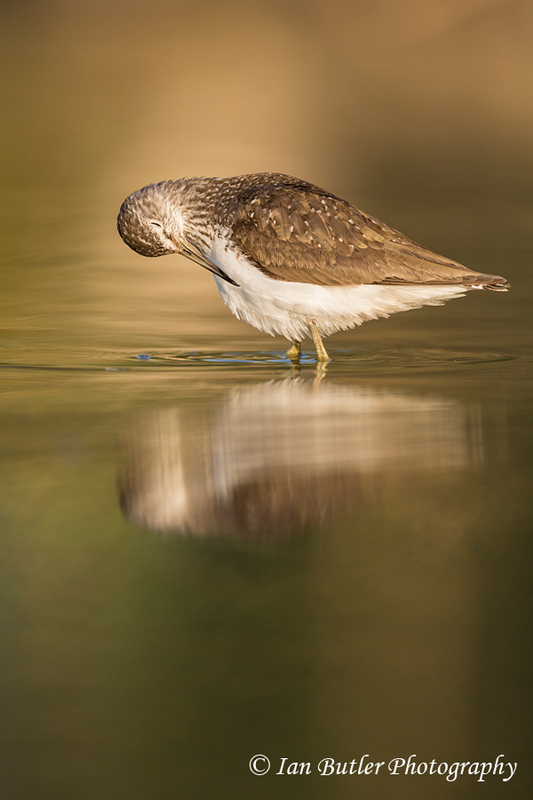 I was lucky that the light was really nice when it walked into this clear area of water and started to preen itself. Green Sandpiper, Tringa ochropus, Hungary, June, 2014. 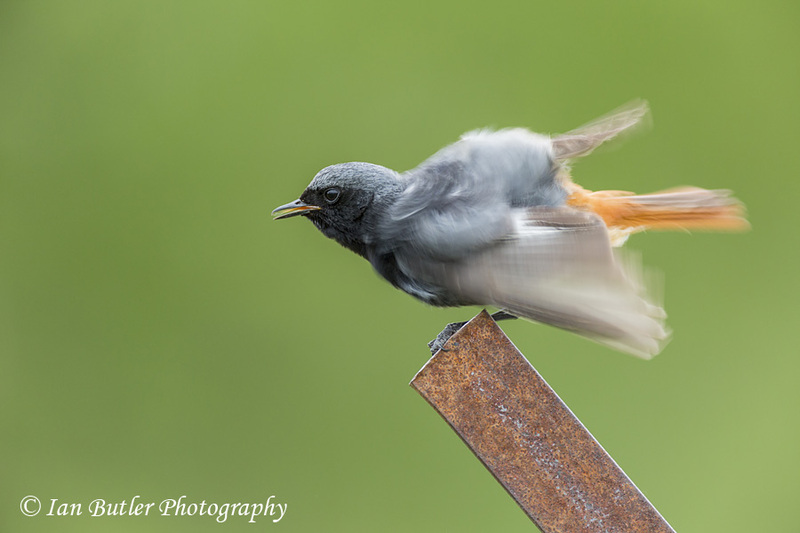 Wildlife photography at best can be very frustrating and this was one of those times… Black Redstarts in Hungary are a very common bird but trying to get an image of one that matched the one in my head proved to be a bit more difficult. With several pairs of Black Redstarts feeding young within a 200m radius of my perch I was expecting a lot of activity but the different pairs have very confirmed feeding boundaries. I did witness 2 individual males singing from the same chimney proclaiming territory so this must have been the boundary between the two territories. Eventually my patient paid off with the male sitting on the perch and having a preening session. Using a slow shutter speed (which was due to low light conditions) I was able to get a few frames with the head sharp and the rest of the body blurred. Black Redstart, Phoenicurus ochruros, Hungary, June, 2014. Canon 5D3 with Canon 500mm f/4 L IS with Canon 1.4x III teleconverter., car as hide. 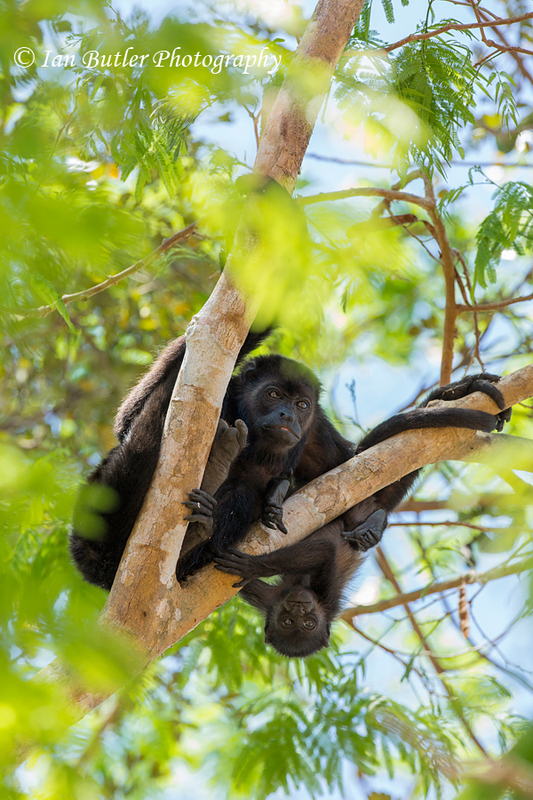 Please click for larger image. Members of the crow family are thought to be one of the most intelligent within the bird world. Very similar to the Carrion Crow (Corvus corone) which are all black, these Hooded Crow are a common sight in Hungary. 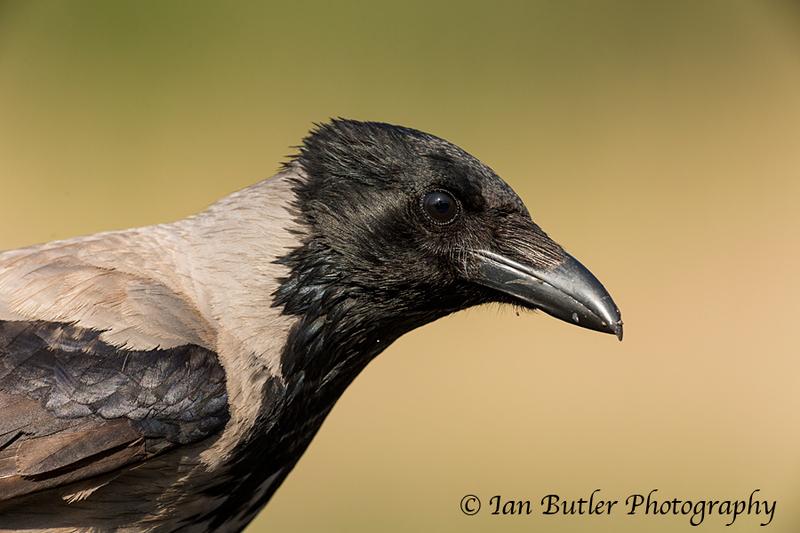 Here is a simple portrait of a Hooded Crow for this evening. Hooded Crow, Corvus cornix, Hungary, April, 2014. Canal Zone Tree Frog, Hypsiboas rufitelus, Costa Rica, January, 2014. 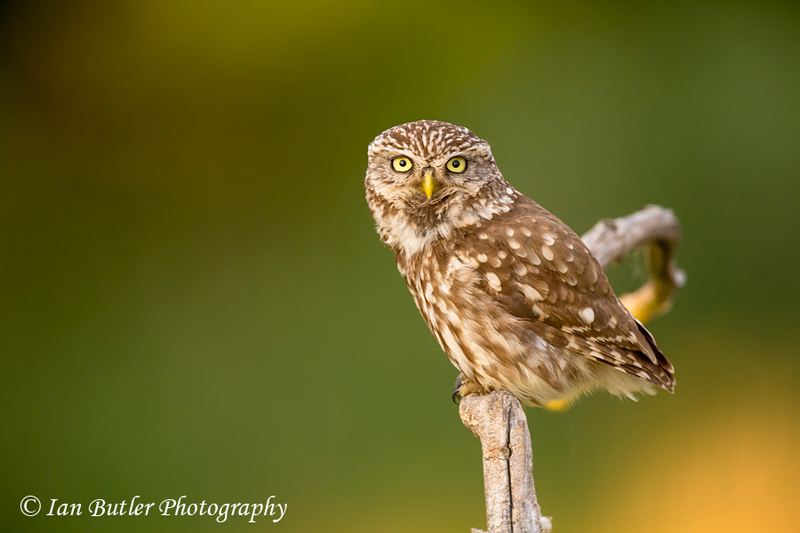 Whilst waiting for bee-eaters to land on a perch in front of the hide, a Little Owl surprised me by landing on it instead. A little squeak from myself got it looking straight down the barrel of my lens, but it soon lost interest when it realised I wasn’t food. Great to see it at short range. Canon 5D3 with Canon 500mm f/4 L IS with 1.4xIII converter. 1/250s at f/5.6 at ISO1250. For more images check out my facebook page here Ian Butler Photography and like it to receive further updates.